Ceilo de la Paz made a selfie that reflected the story of her life. There was a divorce, financial setback and hurt when the father she finally met had little interest in building a relationship. Cielo de la Paz needed just one small sign to remind her happier days lie ahead. She would get her sign — a billboard no less — and when she saw it for the first time, it gave her a much-needed feeling of triumph. The 39-year-old single mother had a photo selected by Apple for its “Shot on iPhone 6” campaign that has now been seen in outdoor ads in 24 countries. The picture was made after a rain storm. 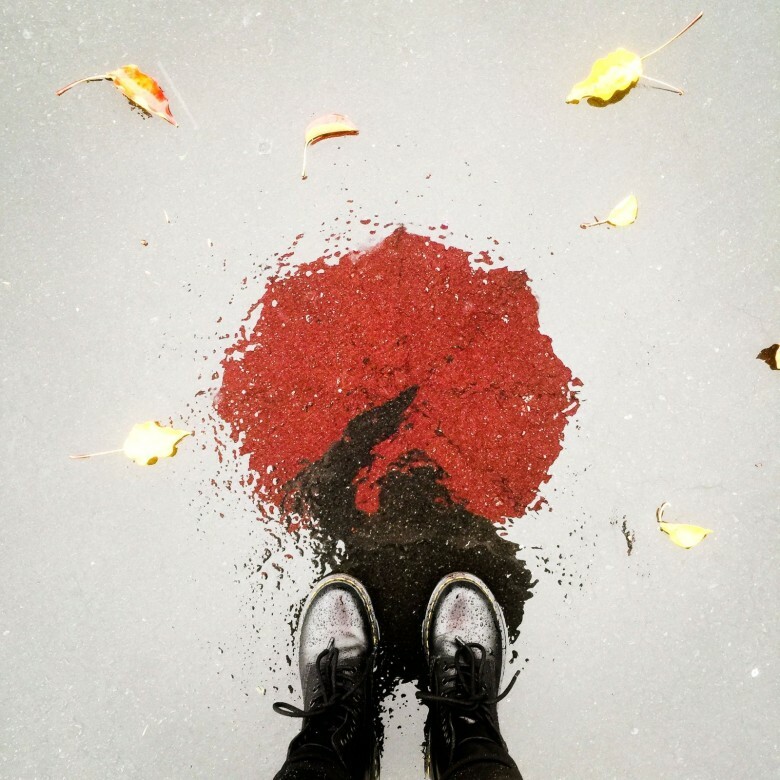 It is of de la Paz’s reflected self in a puddle with fallen leaves floating to form a frame around her silhouette. She is holding a red umbrella. 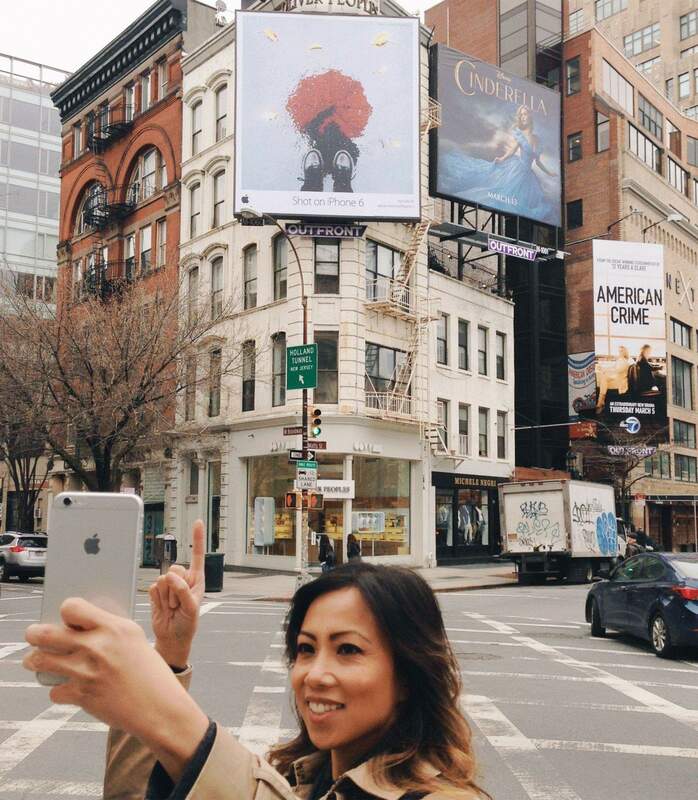 With her “Shot on iPhone6” billboard in New York in April. What Apple saw as pretty and artful, de la Paz sees as autobiographical. That’s my life. Cult of Mac interviewed a cross-section of the iPhone 6 photographers discovered by Apple editors who had searched through thousands of photos on Flickr, Twitter and Instagram. 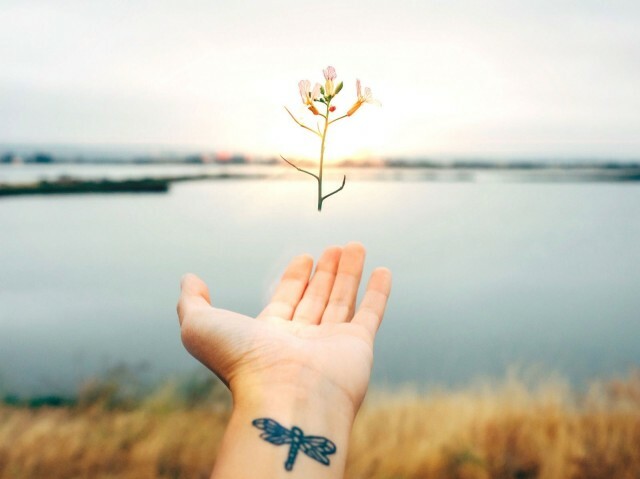 The pictures are currently featured on billboards, the sides of buses and magazine advertising around the world, images created with the iPhone 6, with its improved camera for stills and video, that debuted last Fall. Some of the photographers are well-established professionals who have integrated the iPhone into their editorial work, while others describe photography as something they do on the side. All were thrilled to be chosen to be part of what has become a global photography exhibition. While driving shortly after she found out Apple had selected her work, she had to pull off to the side of the road for a moment. The song Best Day of My Life by American Authors was on the radio and she was sobbing. Apple had not found her. Through photography, she had found herself. The first billboards went up and when she learned her picture was on one in New York City, she had to see it. To learn of the journey de la Paz took to stand before her very own billboard, one can begin to understand why she attaches so much meaning to seeing a creation of her’s featured so prominently. Born into poverty in the Philippines, de la Paz was briefly separated from her mother, Tess, after she went to Australia in search of work. She was reunited with her in Australia when she was 7 and though her mother had jobs, they always lived under the specter of eviction. When her mother felt they ran out of opportunities in Australia, the two moved to California to live with relatives. Her mother sometimes worked two jobs to make life for the two of them as financially stable as possible. They were times they could momentarily forget their struggles. Tess liked taking pictures and her daughter was always curious about her mother’s photography when they went to parks or botanical gardens. On her 10th birthday, her mother bought her a camera and de la Paz took to it by mimicking whatever her mother was doing with her camera. But growing up lean, her family discouraged her from pursuing creative fields and persistently steered her towards studies and careers that could provide that elusive stability. She got good grades, went to college to study business and computer science and is now an independent UX designer about to launch her own company. She married, had two sons and security. But the marriage soured and by 2010, she was divorced and on her own with her boys. She felt something was missing and thought finding her biological father would fill the void. She found him in 2013, but love did not grow from their time together. She felt rejected. She was able to refocus her energy and found photography “lit me up and brought me back to life.” In 2014, she took classes, went on 25 excursions with photography meet-up groups and kept taking pictures. She will at times rise by 4:30 a.m. just to chase a sunrise in hopes of getting one beautiful shot. In her pictures, she found what was missing from her life – wonder and playfulness. You can see how her soul blooms in a photo blog and on her Instagram feed, which has a growing following since the iPhone 6 campaign launched in the Spring. “My creativity is starting to come out,” she said. “It’s kind of a rediscovery and I am seeing everything over again. I want to take pictures of everything and of how I feel in that moment. In April, de la Paz, her mother, Tess, and sons, Nolan 11 and Grayson, 8, flew to New York City to see her rain puddle reflection on a billboard. 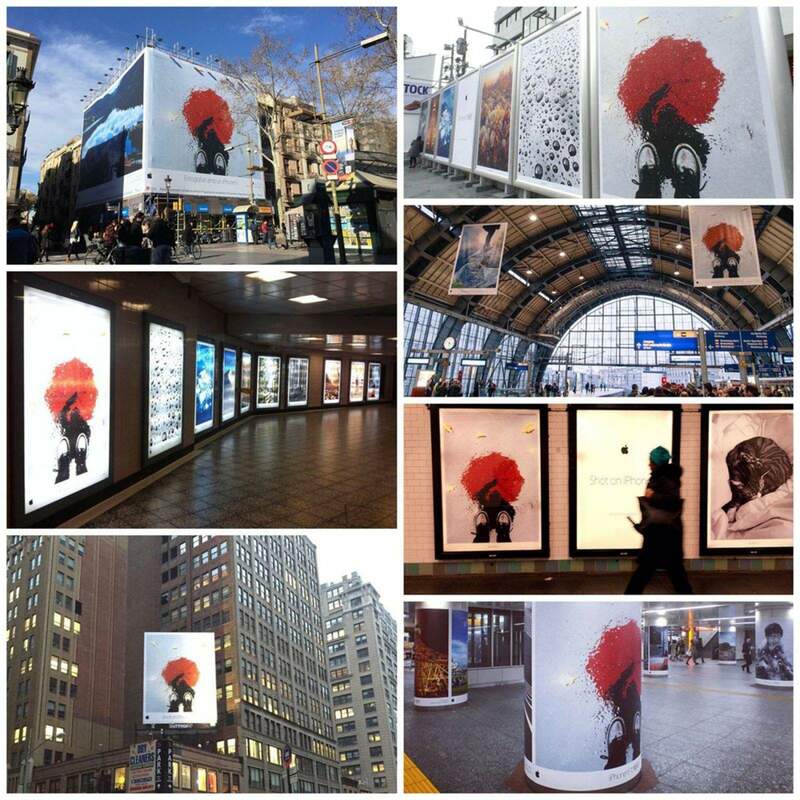 Some of the locations around the world where Cielo de la Paz’s photo has appeared.